There is talk that the feud between HHH and Stephanie McMahon vs. Shane McMahon will kick off on tonight's Raw show from London's O2 Arena. Even though Shane McMahon lost the match, he is now official as in charge for the third straight week. HHH and Stephanie were scheduled to return to Raw this week as well and a feud between the two sides was on the books. There has been talk the past few days that Finn Balor will debut, which given the location, makes sense for a debut. This has not been officially confirmed. 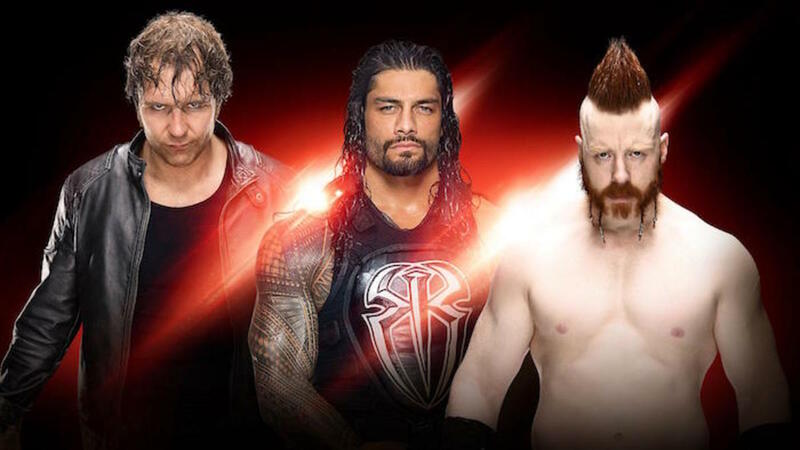 What is confirmed for today's show are the semifinals of the tag team tournament for a title shot at the Payback show, with the Usos vs. Vaudevillains and Enzo Amore & Big Cass vs. Dudleys, as well as a singles match with Emma vs. Becky Lynch. As it turns out, a lot was changed beacuse the singles match ended up as an eight-person match. The live crowd booed Show even though he was the face. Show won after choke slamming both at the same time. Raw opened with Dean Ambrose out with them trying to put over the fans as the Ambrose Asylum. He made a joke about Braun Strowman, points out James Corden's parents in the front row and then introduced Shane McMahon. Shane put over that the WWE fans deserve better than what they've been getting. Kevin Owens came out and said this new Shane McMahon era is hte same old crap and how Shane has been punishing him for being an honest man in saying Sami Zayn never deserved to be put in the world title picture. Sami Zayn came out and said he was signed by WWE before Owens and if it wasn't for him, Owens would have never made it to WWE. Chris Jericho came out and said that Shane was drunk with power for taking the Highlight Reel segment away from him. Shane announced Jericho vs. Zayn for Raw. Chris Jericho beat Sami Zayn clean with the codebreaker. A.J. Styles hugged with Luke Gallows and Karl Anderson. They acknowledged their past. Enzo & Cass beat The Dudleys to advance in the tournament clean with the rocket launcher. Roman Reigns came out and was heavily booed. He put over A.J. Styles who came out. Styles said he'll need to have the match of his life to beat Reigns. Gallows and Anderson came out to attack Reigns and left without Styles. Backstage, Styles told Reigns that he had no idea Gallows & Andeson were going to attack him. Reigns told Styles that it won't matter how many friends Styles brings, he's not winning the title. Baron Corbin beat Fandango with the End of Days. Dolph Ziggler was on commentary. Fandango was really over in London. Corbin threw Fandago onto Ziggler which led to a brawl between the two. Corbin then hit the End of Days on Ziggler outside the ring. New Day & Cesaro beat Alberto Del Rio & Rusev & Sheamus & Miz. Cesaro pinned Sheamus using the Neutralizer. Charlotte and Natalya were talking. It was annnounced that Bret Hart would be in Nataya's corner in the match at Payback, to counter Ric Flair, so they are doing the same scenario as their NXT match. Paige & Sasha Banks & Becky Lynch & Natalya beat Naomi & Tamina & Summer Rae & Charlotte when Natalya made Charlotte tap to the sharpshooter. Vaudevillains beat Usos. Vaudevillains didn't get much of a reaction. They won with the whirling dervish. The Social Outcasts, or at least the three left, tried to add Apollo Crews to their stable. He said he would join if one of them could beat him. Apollo Crews beat Heath Slater with the spinning power bomb. Kevin Owens pushed that he'd be back tomorrow for Smackdown tapings to big cheers. Dean Ambrose pinned Kevin Owens with Dirty Deeds. After the match, Jericho laid out Ambrose with the codebreaker. Styles then made the save. They did a dark match where Styles & Ambrose beat Jericho & Owens. So no Authority and no Finn Balor this week, no big feud, no big anything.